The pbx inserts into inbound call logs the field content "default location - local" rather than accepting the Caller-ID that is presented by the inbound call. The result of this false transcription is that the system goes to the field mentioned and pulls the country code and the local code and inserts them into the record of the incoming (now received) call. The system does not exhibit this behavior on inbound calls received from "landed" phones...only from mobile devices. The inbound calls are European (German mobile carriers) the typical structure is in this case 10 places deep and in the case of mobile phones defined as +49 1xx xxxxxxx. What the system produces is +4921xx171645xxxx. To make sense of this one has to strip out the 21xx otherwise one has two exchanges listed one after another in sequencefollowed by the proper inbound caller Id. The system inserts the "domain default location- land code" and "default location - local" on EVERY mobile call regardless of mobile carrier. This creates extra soup in both the calllog and affects the ability to create clean callbacks. The soup also carries into the E-mail strings, but there the system seems able to reference a recall of the string in the Email despite it being rendered improperly. The system seems to be having real problems with these mobile exchange entries. Is this a bug? Or are there a number of fields or settings that are causing these errors? Looking forward to your review and imput. How do you know that number is being translated in the PBX? Do you have a gateway in between the PBX? Maybe 1st check the gateway logs and see if the number is being translated there 1st. To my understanding rewrite global are only done for outbound calls. My Gateway is a Patton 4562 and is provisioned by the Vodia as far I understand the currently supplied Vodia software. Is there a specific report on the Patton that would list or indicate such a source of the problem...The same gateway delivers and no coding mismatch exists on landed lines. If your suggestion is valid, then I should be able to trace that back but a Patton 4562 is no longer new. Does anyone know how to interegate a Patton 4562 to obtain the data you are suggesting? When we set up the Patton template, we used a US gateway in analog mode. Patton probably has more parameters for ISDN, including the one that we are looking for in this post. The German Patton support has the reputation to be exceptional; maybe you can contact them and get a clue. Or if another user of the forum from Germany can answer to this post and post the (working) configuration we can try to figure out what is missing in the template and add it. I am a little unclear on how to formulate my questions to Patton support. Should I simply ask them to review the template you are using? If they were kind enough to do so, perhaps the resulting edit would be something I can send you. As far as you presently know, this is the only incident of this happening that you have? or has this appeared under partner configs in Germany. Perhaps one of them had a similar experience. Do I have to enter this incident in the German part of the Forum or is it already viewable there now? You should definitively mention that the caller ID contains that string. I think that will tell them immediately what the problem is. We introduced the PnP for gateways not too long ago; I am afraid in Germany you are the among the first use this new feature... Other users used the Patton and manual configuration before with good results; so there is light at the end of the tunnel. I went to their website, which is not as good as speaking with them directly. I will send a copy of my working config to them. That configuration is what the Vodia has modified. My gateway has just one BRI it would be less detailed than later gateways but would work in a similar way. Attached is a config for your review. 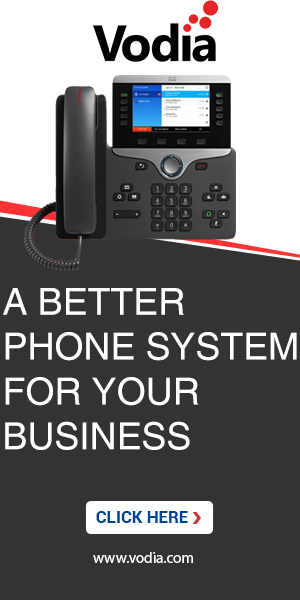 I believe it was prepared for a system which is not connecting outbound to a sip provider but only to an ISDN trunk. If I am correct, the attachment may help you see how they conceived it. My gateway is older than the one this example is for, I will followup to make sure what they suggest is in compliance with the gateway I am using now. What is attached is for a 46xx Gateway which came out after mine so it is actually newer and more modern than mine. It is supplied for you to use for comparison. This configuration description reads: "SN46xx to SIP to ISDN Trunk Gateway configuration without SIP Registration. The ISDN PSTN may be connected to Port BRI 0/0 to 0/x." I will make a suggestion to them to cover my older unit and make the config as forward compatable as possible. What is interesting is what you previously programmed is capturing non-mobile exchanges accurately. Expect a response next week. More to come. I am going to attach an additonal config for another smartnode for you. This config does not work for me because my SN has only 1 00/01 port. The attachment is for another in their line with support for the 00/01, but also 4 additional ISDN ports. I would imagine one could use this for companies that need 8 outbound lines at any one time with a fallback. Does not fit me, but it may help you config for larger SMU Patton units and it is ISDN. Hope the attaching works. If it's possible to register a patton gateway then you should not use the provisioning function and enter the specific manually on the unit. Serveral issues are a problem. The provisioning of the Snom 370 has locked me out of the admin mode. I need a fix for that or that phone out. Without the ability to fix those 2 issues I have one phone and one fax that work and my girlfirend is getting touchy. Flowers do not work if she can not call her girl friends, doctors and work. So I need to get that fixed. I am trying to put the pbxnsip server back into operation so I have a working system. The problems with the analog phone happen with either Vodia or pbxnsip so I think that must be hardware related? Could it be voltage, codex alignments or what...clicking is something I have never had. If I could use my NFR rather than the Free config perhaps some of these birthing problems would not be happening. I am able on either system to dial out and in on the Siemens phone and the Snom when it registers. The fax on the ATA also seems to function within the network and is reachable. The last couple of days the system would start out allowing me to phone with the siemens and Snom only to fail later on. Very strange behavior. Nothing like it before on pbxnsip. The background for this is that most installations don't want their users screw up the phone. Only the administrator should have access to the phone. Newer firmware versions have two account, one for the user and another one for the administrator that can solve the problem. If you don't remember the password (or it has been automatically been generated during the setup), you can look it up in the generated folder for that domain and extension. Could be simply a hardware failure. The device should not be clicking all the time. If other extensions work correctly then I would really suspect that there is a problem with the ATA hardware. Can you be a tiny bit more exact? My firmware for the 370 is 7.3.30. 6063....Where is the file you are referring to: The Snom Phone, the vodia Pbx and in which Ordner? I can not perform a search without a more clear answer. As for the snom firmware, we are talking about 8.8 or 8.9. So this was more like a theoretical answer. From a practical point of view, the snom phones are limited to one account at this time. But did you check the "generated" folder? There you see what has been sent to the phones, including the passwords. Getting the Snom 370 back in action is not something I can compromise on. So I will need a solution. What is the typical reason that inbound calls might not ring on the extension or ring on the caller's side? The generated folder is located in usr/local/pbx/generated or usr/pbx/generated on the mini device.